For this job, we retrofitted and upgraded an old existing septic tank with our Bio Pure system, which treats the effluent to a high quality and pumps off the treated waste water to the percolation area. We also dug out and installed the new percolation area. Sometimes working in enclosed or mature gardens presents us with challenges getting equipment and material to site, but we are used to working in all conditions. At the end of all jobs, we are always careful to put back soil and driveway materials and leave things as tidy as possible. Laying the pipework, power lines and control unit for the Bio Pure system. All materials, installation and groundwork provided for this 3 tank commercial install. Back-filling percolation soakage area for treated effluent. Finishing the groundwork and landscaping to complete the job. We are delighted to have won the Excellence in Business 2015 Outright Winner award, held by Public Sector Magazine. Many thanks to all those who voted. The team at Bio Pure Tech have continued to work extremely hard at installing our Bio Pure sewage treatment systems, rainwater harvesting systems and various waste-water works around the country and it’s great to get some recognition. We look forward to a productive year ahead. You can read the full article from Public Sector Magazine here. For owners of homes with septic tanks, you will most likely already be aware of recent regulations and certification requirements for septic tanks. This has been passed down from EU level, and is in place to ensure that the health of people and the environment is protected. 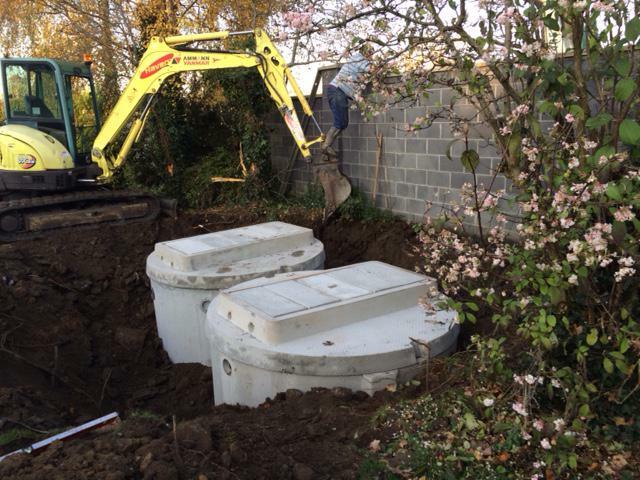 There are huge numbers of old septic tanks which just don’t work properly anymore, overflowing and flooding areas, causing sewage smells, piping untreated effluent into streams or rivers and causing pollution. In the last few years, local authorities have required home-owners to register their septic tanks, and have started to inspect treatment systems around the country. This is being handled on a priority basis, but eventually, most if not all tanks will have been inspected for compliance. Non-compliance means a septic tank will not receive its certification and will need to be repaired or replaced. Installation of a septic tank can be costly, so grants have been made available (on a scaled percentage of cost based on income means). Grants for renewal of septic tank and water treatments systems can be obtained by applying to your local authorities. Qualifying criteria apply, but Bio Pure Tech will be happy to assist you in this. You can read about grants here, or give us a call on 086 1520035 and we will talk you through it. With percolation areas, we finish of by grading and landscaping so it becomes practically invisible. Wherever it’s needed, we can bring in additional top soil, spread it out, level and rake it to landscape. 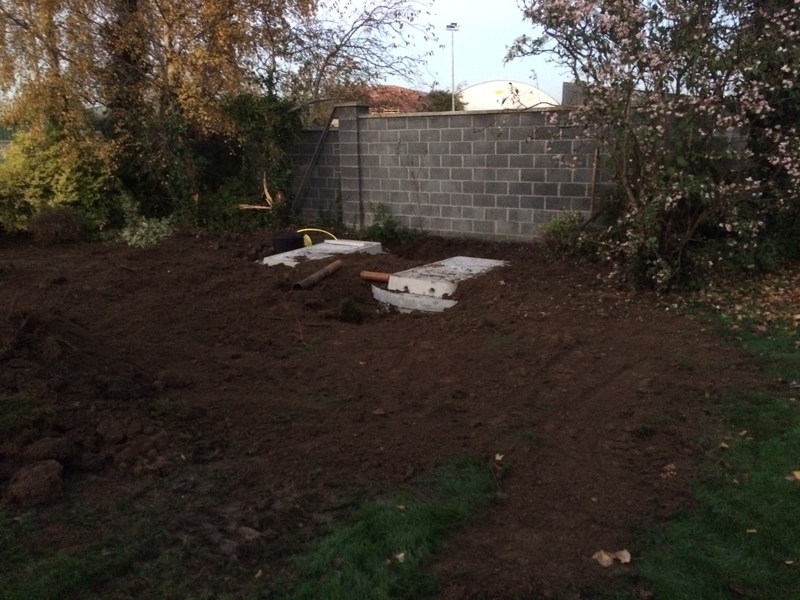 Percolation area for commercial treatment system installation. Graded and raked out. Once the grass grows back the installation is completely invisible.